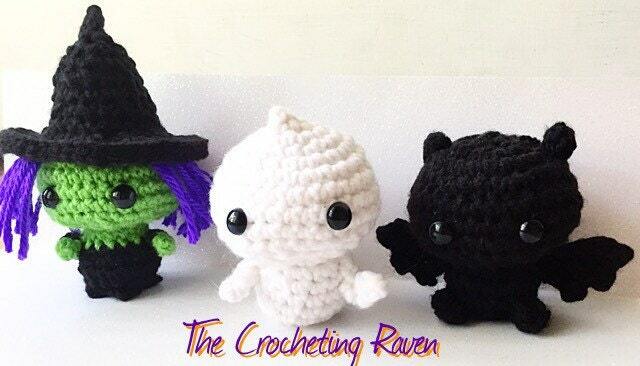 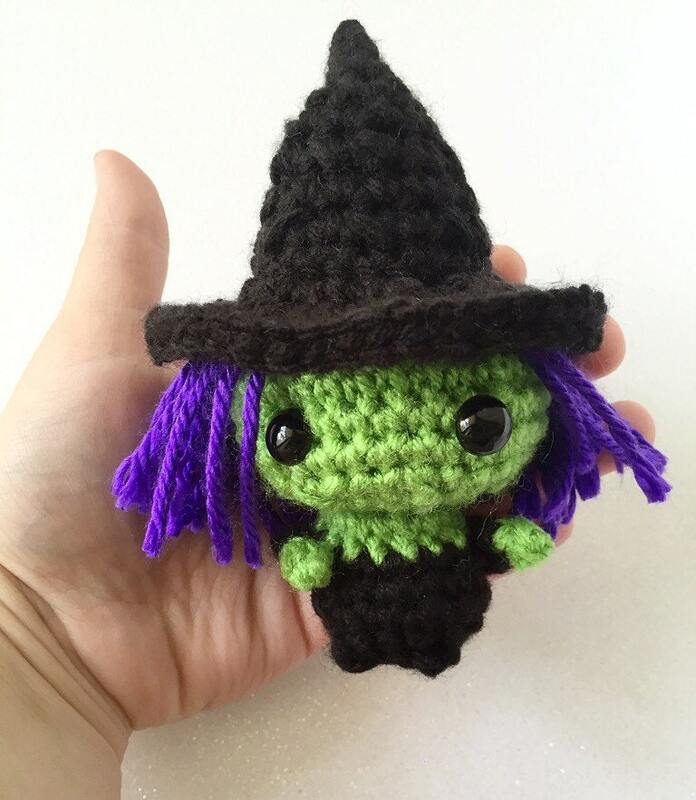 This little witch is hand crocheted using acrylic yarn. 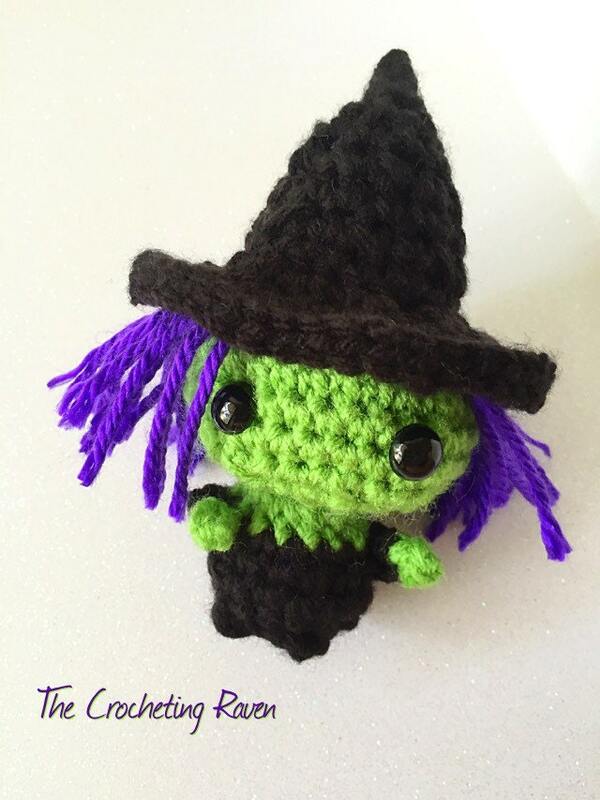 It is stuffed using poly-fiber fil and has black safety eyes! 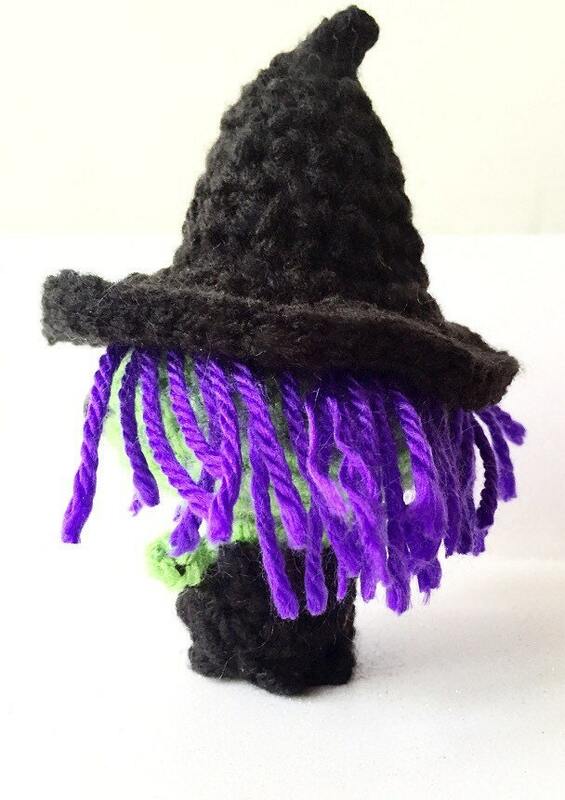 From the tip of her hat to the bottom she stands 5 inches tall! 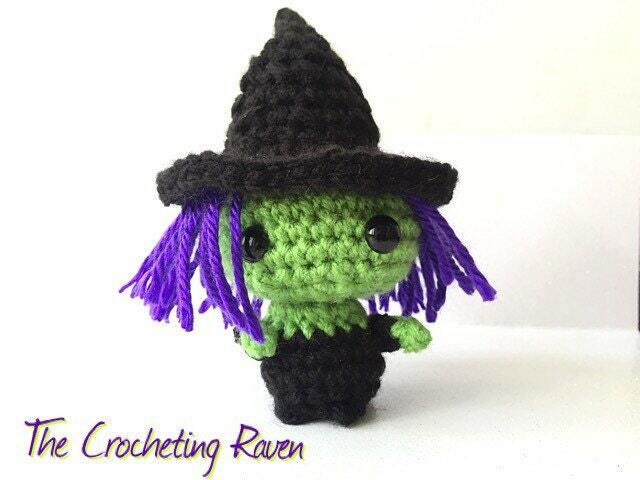 Her arms are also crocheted and can slightly move to create different poses.